Bringing back the true spirit of Ibiza. Music • Visual Art • Food. 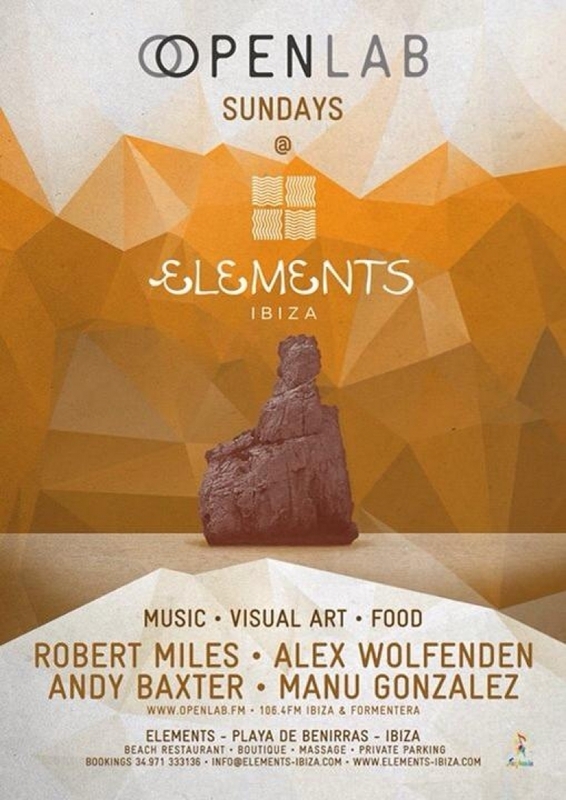 The world famous sunset of Elements Ibiza at Cala de Benirras combined with the unique sounds of the OpenLab DJ's, Robert Miles, Alex Wolfenden, Andy Baxter and Manu Gonzalez. An exciting new addition to the clubbing calendar for those who enjoy their music with exceptional views, great food and the feeling of sand between their toes as they dance away into the night. Worried you might miss the action? Don't worry, you can tune in to 106.4FM radio Ibiza & Fomenter to make sure you never miss a beat.